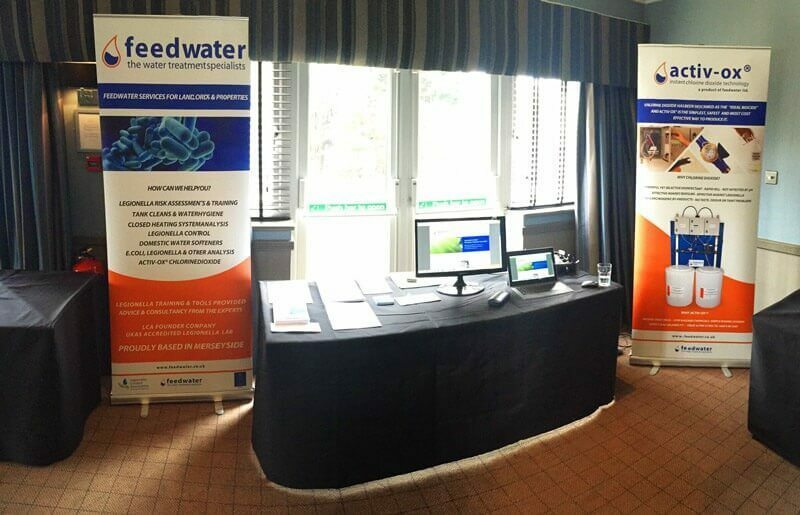 With such demand to know more about legionella risk assessments on let properties; Feedwater made the effort to go down and represent at the Wirral landlord forum at the Village hotel, Bromborough on the 14th of May. The event was well attended and set up to be an education affair for landlord from around the area on keeping themselves safe and cooperating on the issues of undesirable tenants. For all the enquiries that Feedwater daily receives for risk assessments on properties, the general education on this matter of HSE guidance is fairly lacking. Many were in fact not aware of the requirement and needed to consult the new HSE L8 ACoP to see this was in fact the case. Feedwater attended to bring awareness of the Landlords legionella risk assessment training day taking place on June the 25th of which plenty of space still remains. Feedwater’s Gary Hogben was able to make a number of important contacts during the event and will be looking to bring training to a number of the large housing associations in the coming months. The following has been lifted from the HSE Myth Busting website.